With rapid growth of technologies, the world is broadly consuming innovative technologies in the education sector. 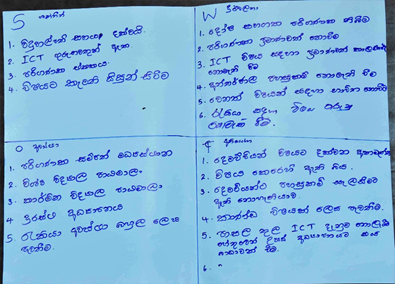 Meanwhile, Sri Lanka is adopting and implementing these technologies for the development of school education. This has led to the increase of consumption of digital technologies in schools among students, teachers and education admins. To uplift the knowledge and enable benefits of ICT technologies to the school community; ICTA, jointly with the MoE (Ministry of Education) has started to develop and empower School ICT societies island wide covering 97 educational zones since year 2016. • Uplift the knowledge and enable benefits of Digital Technologies to the school community. 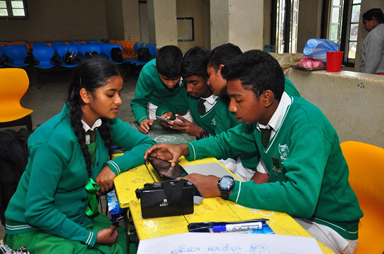 School ICT Society initiative facilitates to uplift the knowledge and enable benefits of digital technologies to the school community. MoE in collaboration with ICTA started the school ICT society empowering program in 2016 engaging with industry partners. 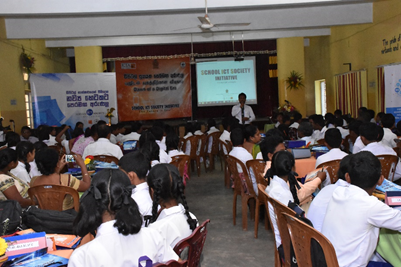 ICTA facilitates this initiative by organizing a series of workshops focusing school ICT society members, teachers and education administrators. This program has supported more than 1800 students, 450 teachers & 100 education administrators covering more than 10 districts to create awareness and help them build internal capacity on using digital technologies.